It’s the morning after the night before…..and it still hasn’t sunk in! Did that really happen? It’s not something I ever expected to acheive! This category is open to anyone that provides wedding entertainment. I was up against bands, cellists, singers, magicians…you name it, and many of them (my industry peers), are much bigger and more well known than I am. And the judging is tough as well. 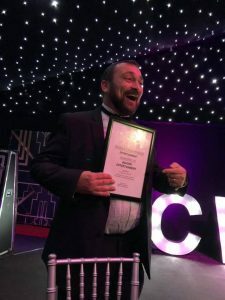 Every aspect of how I run my business was looked into, from the way I promote myself online, to the way I deal with customers and the most important bit…customer feedback. I don’t know which customers left feedback or indeed what they said. If it was you, then thank you from the bottom of my heart! This award means so much to me both as an individual and as a business. I absolutely LOVE what I do and wouldn’t change it for the world, despite the long hours, the late night/early morning finishes, the heavy lifting, the access to venues which weren’t designed for a tonne of disco equipment to be taken into them in an upstairs function room. Those that know me on a personal level will tell you that I’m a modest type of guy. I find selling myself and what I do really awkward, and I’m certainly not the type to shout from the rooftops about what I do. That’s what makes this award so special. 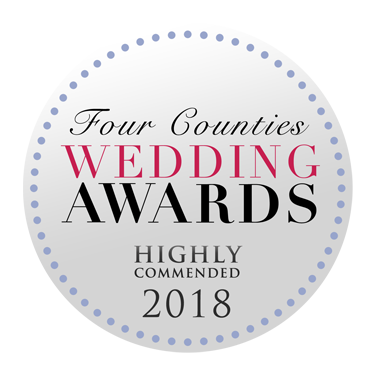 This award was given to me by my previous wedding couples for doing what I do at their wedding and making their day special and memorable….and that really does mean a lot to me.